Oops! I just realized that I haven't written very much about math programs in Spanish or English. Probably because this is a subject that I am not very happy with so far - mostly due to the fact that I feel like I haven't found a really good program yet. I have been using the one that comes with my curriculum, and I just feel like it is a little too slow for my daughter. She loves math and I'm not sure our lessons are pushing her enough. I also try really hard to make it fun because I want her to love the subject and excel at it. Anyway, while doing some research I discovered that the National Education Association actually offers interactive math lessons and games for free online. But even better is the fact that they offer them in English AND Spanish! 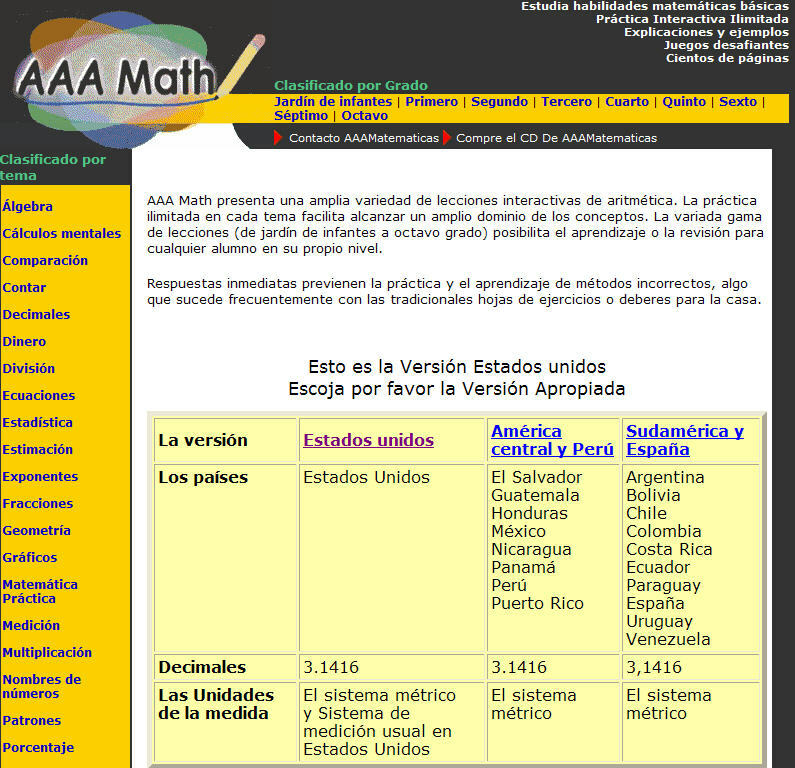 The Spanish version even allows you to choose the system of measurement that you prefer (such as U.S. standard of measurement or the Latin American one). You can also purchase all the lessons on a CD in either language. The site allows you to narrow your focus by grade level and provides ideas for hands-on activities. And each grade is divided into sections covering the concepts that are required for each level. I think the games could be made a little more visually pleasing and fun for children. But the basics are covered in a simple way. Anyway, I think this is a good site for supplementing your lesson plans and the games are good for reinforcing concepts. They also offer lessons in other areas like spelling and geography. So stop over there and test it out for yourself! 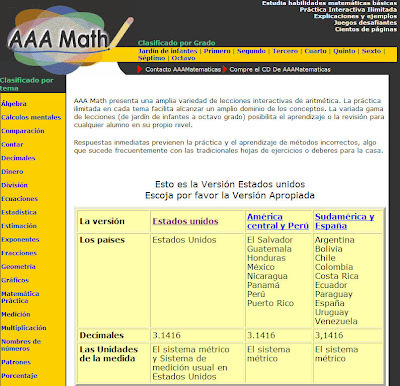 I've been very happy with Mathematics Enhancement Programme - a printable online math curriculum from England that is available in English for grades K(R)- 9th and in Spanish for 1st-4th. My daughter loves it and it moves quite fast.